Boyette's Finest in Luxury Transportation! There's nothing like a night at the pub with all of your best friends, traveling with the convenience and comfort of a Tampa Party Buses vehicle and enjoying the atmosphere out here in the Boyette area. The Stein & Vine is a top notch choice for those who love a great pub with a sensational selection of pints and a huge array of Irish food to dig into! 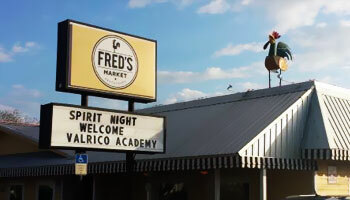 Fred's Market. Fred's Market... Hmm. Doesn't sound like the kind of place you'd typically stop with your Tampa Party Buses crew, right? But think again. This Boyette area market is known for their incredible Southern buffet that is packed with soul food and comfort food that are a sweet balm to the mind after a long hard week at work. Seafood gumbo is the best! 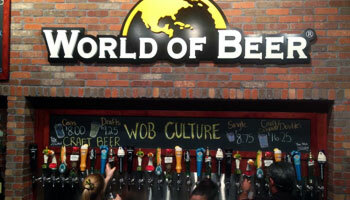 If you love beer as much as we do, you and your Tampa Party Buses crew should definitely take a peek at World of Beer when you're out here in Boyette. 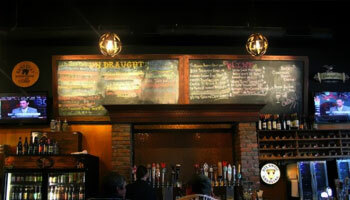 The magic of this place is in their huge selection of beers from all over the world. They virtually have it all. 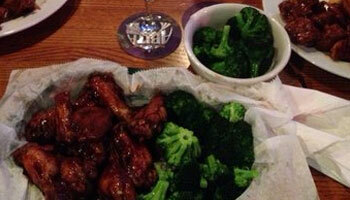 The wings are the perfect complement and we just love the unique flavor of their hot sauce! Joia Fabulous Pizza & Martini Bar is a classy and smart place to spend a late evening with your Tampa Party Buses friends in Boyette. It's as well known for the pizza as they are for their martinis and other specialty drinks, so this is equal on the restaurant and bar sides. You'll love relaxing in this gorgeous environment while you nosh and sip pure heaven. Kazbor's Sports Grille is one of our top choices for places to watch the game in the Boyette area. They have a ton of space for our party bus groups and the staff is always so welcoming and friendly. The daily specials are affordable and delicious, and the array of cocktails that are available here... full bar plus specialty cocktails... will have you singing Kazbor's sweet praises! 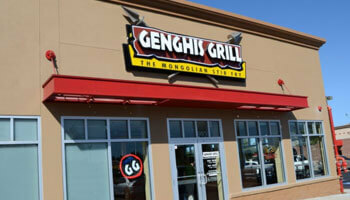 Genghis Grill is the best place in the Boyette area to get your fix when it comes to Asian fusion and Mongolian barbecue style fare! It's a fresh and unique spot with a whole lot of options for vegans and vegetarians in your group. Everything's fresh and flavorful, right down to the edamame, which our Tampa Party Buses customers love to enjoy to-go on the bus! If Latin American and Dominican food gives you thrills, La Casa Del Chimi is a place that you simply must check out. Ideally located for Tampa Party Buses groups in Boyette, they are known for their delicious tostones, chimi burgers with Latin spices, and fresh juice! 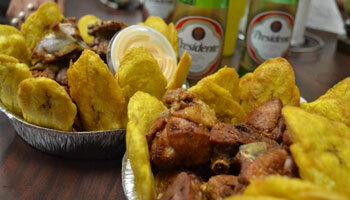 Our favorite dish on the menu is the chicharron de pollo con tostones. Too good to believe! If you and your Tampa Party Buses group are seeking the very best place in Boyette to watch that big upcoming sporting event, we'd vouch for Sluggers Neighborhood Bar & Grill as the place you'll wanna be! 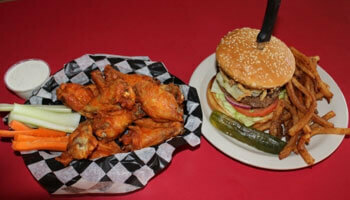 Tons of deep fried goodness for you to enjoy while your eyes take in the game, and everything is very low-priced too. Very clean and very good service! 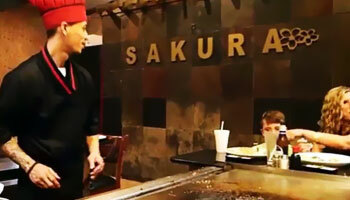 Sakura Japanese Steak House & Sushi Bar brings you the classiest and most comfortable Japanese dining experience in Boyette. 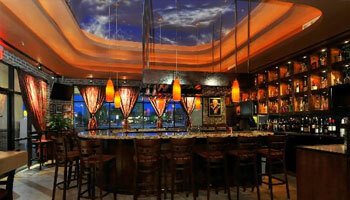 We send so many of our Tampa Party Buses customers here night after night. The steak is very highly recommended here and we'd also steer you to the Philadelphia hand rolls, spicy tuna rolls, and salmon roe nigiri! One more sushi restaurant for the Boyette road! 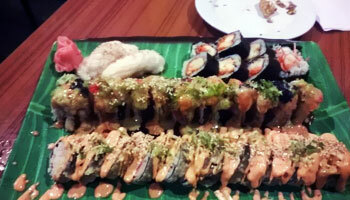 During your travels with Tampa Party Buses around here, you will surely want to stop at Osaka Sushi. The standout feature at this establishment is their huge and varied menu. Lots of unique sushi that you simply will not find elsewhere. Our absolute favorite, though, is the classic spider roll. Too good!